The Palazzo at 642 ft tall with 50 Floors is the third tallest building in Nevada. This could be considered the tallest building in Nevada depending on how you want to count things. The Stratosphere is the tallest structure but it is not classified as a building since it is not a fully habitable structure. The second tallest building is the Fontainebleau Resort Las Vegas which construction has been idle since 2009 under bankruptcy…..not running up that structure any time soon. For my goal purposes I am counting the Stratosphere but at least I have the Palazzo checked off my list as a backup. Getting into the stairwell was a bit tricky since I was not staying at the hotel so I didn't exactly know where to enter the stair case. I had an hour before needing to go to the airport for my flight out of town so I was still in my business casual clothes carrying a small rolling bag with my shoes, shorts etc. Luckily I found on the casino floor there are a group of unlocked and unalarmed doors for the emergency exit where the staircase is. I entered the stairwell and was excited to get access. Stairwells 1-3 are huge and a little tricky to navigate so I walked up with my bag to the 3rd floor where the stairs turned into a normal stairwell. I had to quickly change in the stairwell (That was very strange) and left my bag in the corner on the third floor stair landing hoping no one would find it. I have watched some great videos on different techniques to hold the rails to help at different points of the run. This stairwell is narrow enough that I was able to use both hands at times to keep my legs fresh longer. 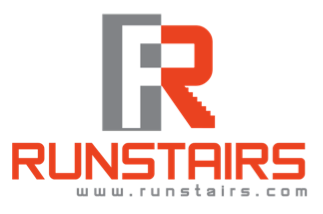 I was also able to grab the rail on the next set of stairs before I made the turn maximizing my steps as I rounded the corner, this was a great tip I learned from this video from XGYM. I made it to the 20th floor before any type of fatigue started and then slowed my pace and utilized the rail for the remainder of the run. I arrived on the 47th floor in 7 minutes 5 seconds. Crazy to think that next week a couple of guys will finish that tower in that same time. I noticed there was a walkway to the right I thought led to the exit on that floor. When I viewed the hotel from the outside afterward it looks like the building cuts in a little and then has 3 more floors. Wish I would have known that before, I will do it again sometime to make it official. 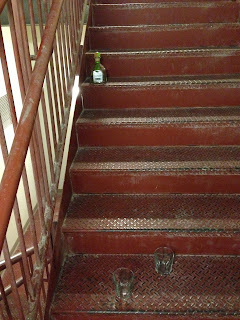 I classify the Las Vegas hotels as the dirtiest stairwells I climb. There are always cigarette buts and usually someone smoking which does not help my run. 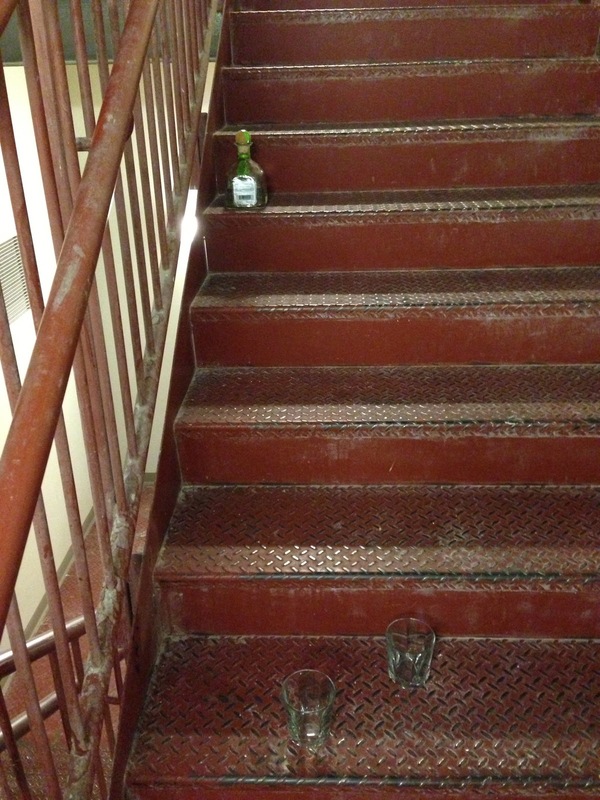 There are other obstacles on the stairs like this alcohol bottle and glasses. That could be dangerous....don't they know I will be running up those stairs!? I did not listen to music on my iphone on this run so I could listen for people possibly entering the stairwell and discovering my bag with my keys, wallet and clothes (I know not the smartest move). Due to this at the end of the run I took the stairs back down. I usually take the elevator down so my legs were not prepared for the decent and were more fatigued afterward than usual. Luckily I did not see or hear anyone and my bag was still in its place. 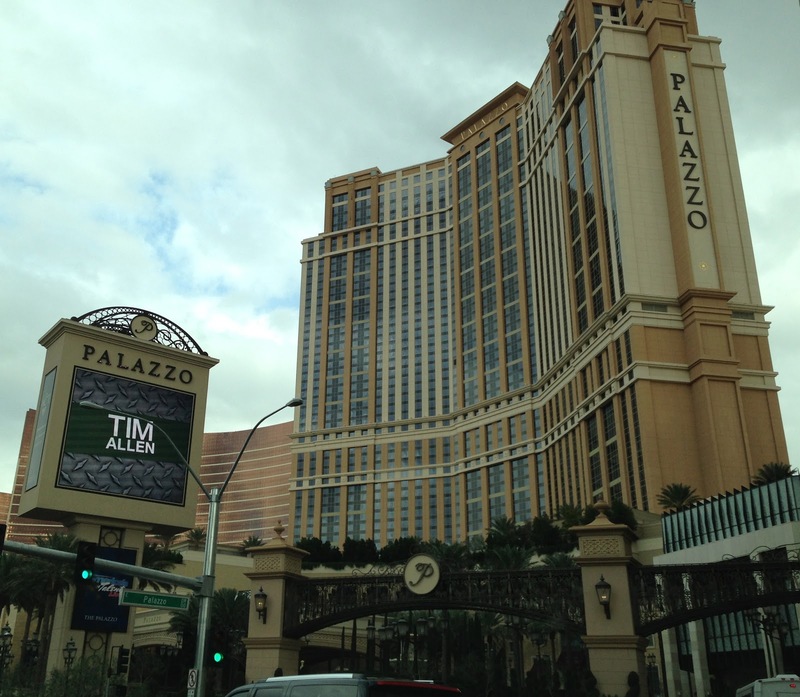 I recommend The Palazzo If you are in Las Vegas looking for a challenge and a good workout. It is connected to The Venetian and 4 years ago when I ran the Venetian stairs I was pretty proud of myself….until I went outside and noticed the Palazzo which is connected to the Venetian is much taller, 475 vs 642 ft. So skip the Venetian and hit the Palazzo.